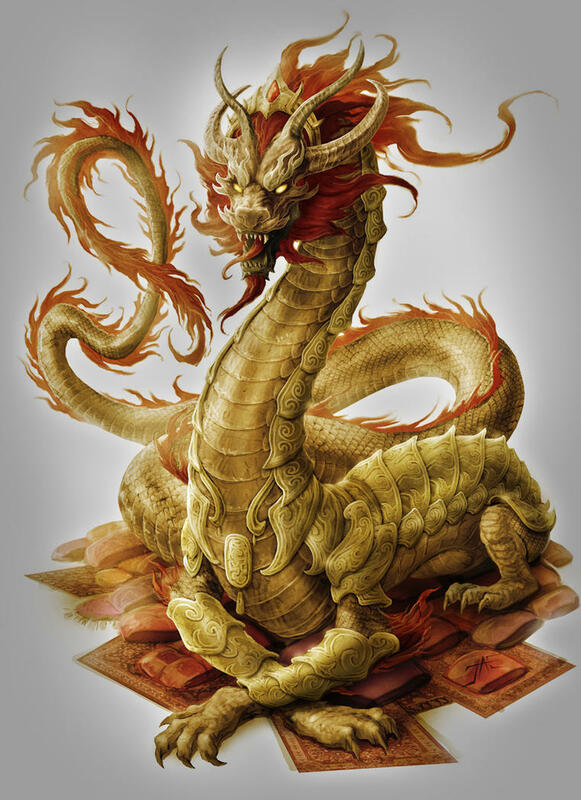 The most powerful of the imperial dragons, sovereign dragons were supposedly sent by the gods to maintain balance and safeguard harmony on the continent of Tian Xia. Impressive wingless creatures with golden scales, they are also known as lungwangs in Tien. The nation of Xa Hoi has been ruled by various types of imperial dragons for millennia, but only sovereign dragons have served as its leader for that entire time; their current dragon king is Pham Duc Quan.